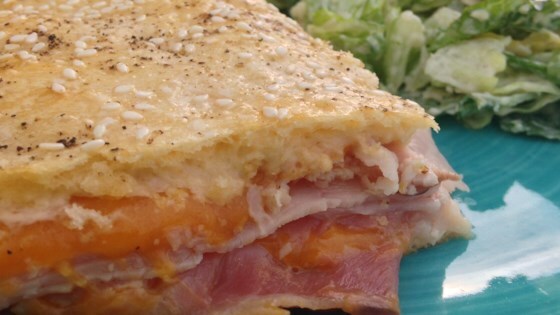 "Ham and cheese are layered between crescent roll dough and baked into a ham and cheese slab pie, a crowd-pleaser at any party." Any variety of cheese can be used in place of the Cheddar cheese, if desired. This was good. In bwrwwn the ham layer I added 2 tbs of whole grain mustard.